Catch Pokemon Like Never Before! The Poke Ball Plus is a Poke Ball-shaped device that can be used to play Pokemon: Let's Go, Pikachu! and Pokemon: Let's Go, Eevee! in place of your Joy-Con. You'll be able to throw Poke Balls in-game with a flick of your wrist! In addition to motion controls, the device lights up with a variety of colors, vibrates, and plays sounds. 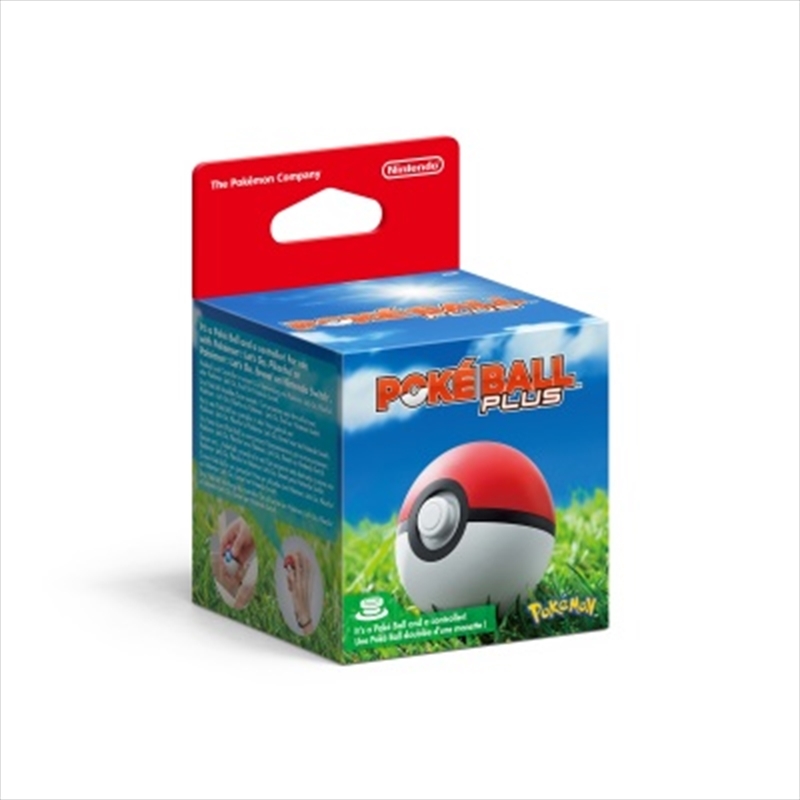 With the Poke Ball Plus, you can also take one of your favorite Pokemon from these games for a stroll as you go about your daily life in the real world. The Poke Ball Plus even works as a Pokemon GO Plus when playing Pokemon GO. Poke Ball Plus has motion control capability, so when a wild Pokemon appears, ready a Poke Ball and try to catch the Pokemon by moving your Poke Ball Plus like you're throwing it. When you catch a Pokemon, your Poke Ball Plus will light up and vibrate in your hand, and you'll hear the Pokemon let out its unique cry-you'll think there's really a Pokemon inside! Take your Pokemon for a stroll in your Poke Ball Plus out in the real world. When you're out and about, you can gently shake your Poke Ball Plus and the Pokemon inside will make a sound and the Poke Ball Plus will vibrate. Just like with Pokemon GO Plus, you can use your Poke Ball Plus when playing Pokemon GO on a compatible smartphone to help you search for Pokemon. Play Pokemon GO without checking your smartphone screen. When a Pokemon appears nearby, Poke Ball Plus will light up and vibrate. A simple button press lets you throw a virtual Poke Ball, and different LED light patterns will let you know if you've caught the Pokemon. As long as your Poke Ball Plus is connected to your smartphone and the Pokemon GO app, it will also count your steps so you can hatch Eggs and get Candy for your Buddy Pokemon.